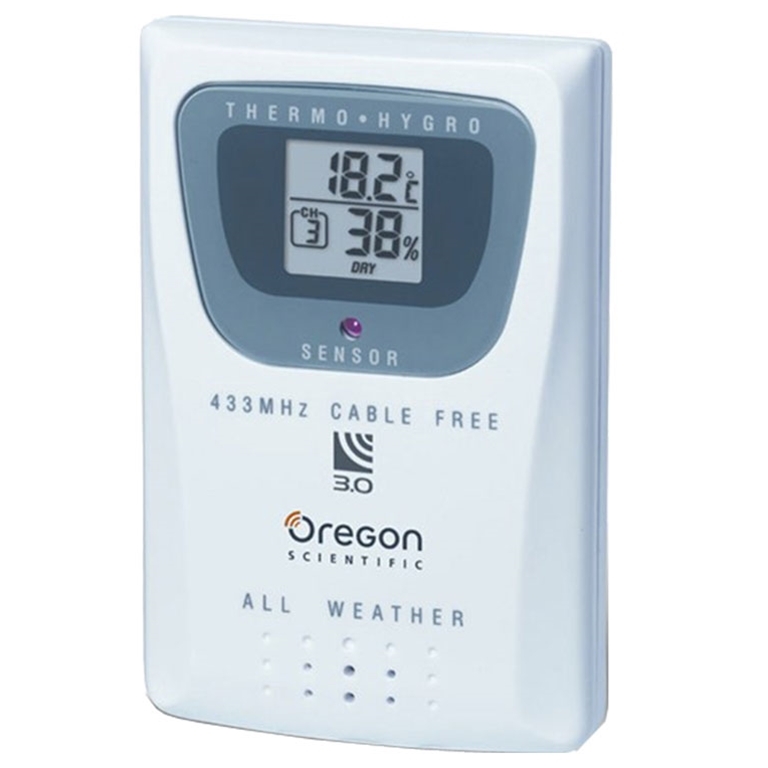 Oregon Scientific THGR810 Thermometer and Humidity Sensor with 10 Channels is compatible with the WMR80, WMR86, WMR88, WMR89, WMR90, WMR100 and WMR200. It allows you to expand the locations and information you monitor. The THGR810 sensor monitors both temperature and humidity readings and also features an on-board LCD screen. For longer life and use in colder climates, we recommend Lithium batteries. Standard Alkaline batteries contain significant amounts of water. Because of this they will freeze in low temperatures of approximately 10 F (-12 C). Consumer grade Lithium batteries have a much lower threshold for temperature with an estimated freezing range of below -22 F (-30 C). Compatible with Oregon Scientific wireless weather station. See sensors and accessories for compatibility.